Saw these Lela Rose dresses on shopbop.com, and am amazed at how fabulous they look. So perfect to wear as a wedding guest. I have been hearing Bordeaux is the new Black, and now I am totally convinced it is. 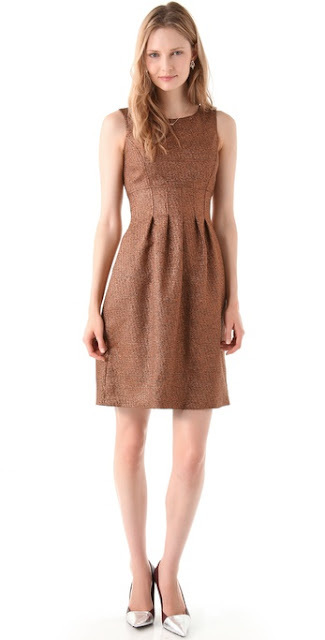 I only saw the Bronze dress on the Web site, which is great too but for some reason, I can't get this Bordeaux Metallic Sheath Dress out of my mind.